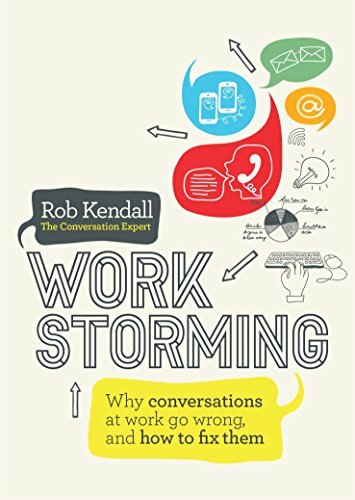 Amazon.com description: Product Description: Whatever your job you need to communicate with others, as even when your intentions are sound, the impact of a bad conversation can be highly destructive. If people in your work community form a negative opinion of you, they stop properly listening. Rob explains how and why your career success can depend so much on good communication at work. Each chapter is short and self-contained, focusing on a specific topic with clear steps for action and a key lesson. As in Blamestorming, there is a cast of characters placed in a variety of situations in which they experience conversations go wrong. Using five simple 'warning signs' to watch out for Rob explains how the characters could change the way they speak and listen in order to achieve a positive outcome. About: Whatever your job you need to communicate with others, as even when your intentions are sound, the impact of a bad conversation can be highly destructive.